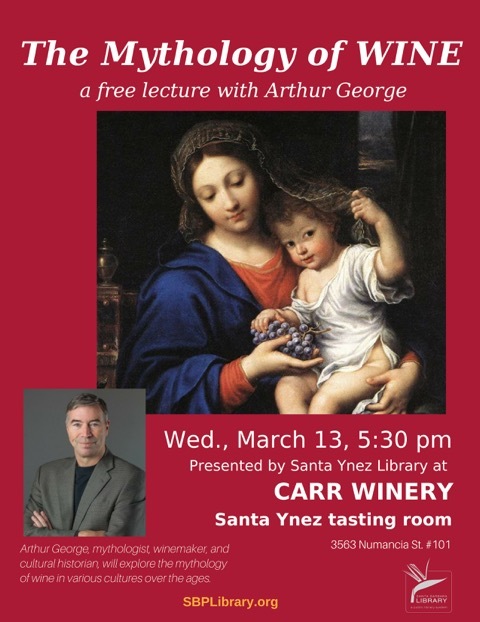 Arthur George, a mythologist, winemaker, and cultural historian, will explore the mythology of wine in various cultures over the ages. Sip on a glass of wine from Carr Winery while enjoying the opportunity to hear a scholarly approach to the mythology of what’s in your glass! 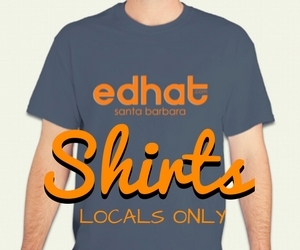 Presented by the Santa Ynez Library. Free admission, 21 and over.